Great news - with the help of our supporters - the Family Reunification Bill is one step closer to being enacted into law. Last week, alongside our supporters, we asked the Oireachtas Business Committee to make sure a bill that will enable refugees living in Ireland to be reunited with their loved ones progresses to the Dáil – and they listened! While this is amazing news, we urgently need your help again to make sure this bill becomes law. This Thursday (6th Dec), the bill will be brought to the Dáil and TDs will vote on whether it should progress to the next stage (this is second stage and there are three more stages to go!). Please take action today and ensure TDs vote in favour of the Family Reunification Bill this Thursday. Just click on the link below so that you can email us and give consent to us sending a printed Christmas card to your TD asking them to support the bill. You will also be asked to let us know your constituency so that we know who to contact on your behalf. 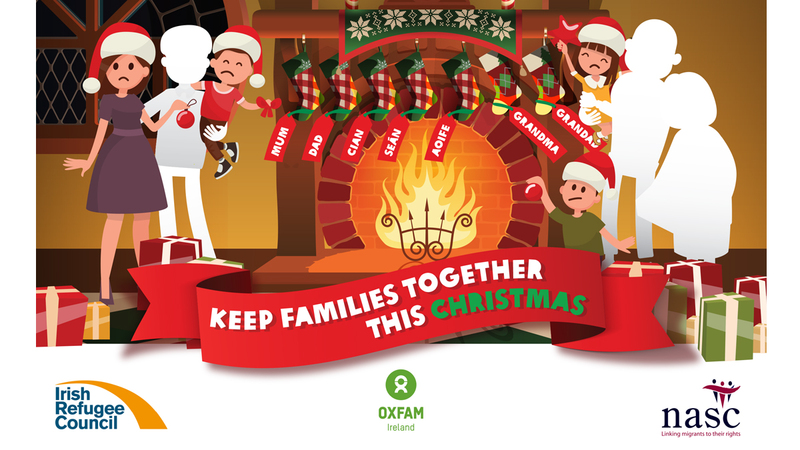 Families should always be together, especially at Christmas – together, we can make this happen. Families should always be together, especially at Christmas – but that’s not the case for refugee families living in Ireland right now. It is now seven months since the International Protection (Family Reunification) (Amendment) Bill 2017 passed through the Seanad with cross-party support and it is still waiting for a slot in the Dáil. This Bill aims to undo the unintended consequences of a law brought in 2015 which narrowed the definition of family for refugees to a spouse and any children under 18. This means refugees living in Ireland remain separated from their children over 18, siblings, parents, grandparents and guardians this Christmas. This causes more pain and trauma for families fleeing conflict, persecution, poverty and disaster – people who have already suffered enough and are now trying to rebuild their lives. We need to make sure this bill gets the urgent attention it needs to be brought to the Dáil - so that that families can find refuge safely and together. An important meeting is taking place tomorrow which will decide if this bill will be brought to the Dáil before Christmas. Please take action today and contact those involved in the meeting, asking them to ensure that this bill progresses now so that families desperate to be reunited with their loved ones can be together as soon as possible. The development of the next Multiannual Financial Framework is an opportunity for the European Union and its Member States to agree on how to implement a global vision for development cooperation that is rooted in European values. Brexit might be dominating headlines across the European Union – but it’s not the only show in town. The EU’s development assistance and humanitarian cooperation instruments will be undergoing a fundamental shift in the coming months, with the development of the new Multiannual Financial Framework (MFF). The MFF will set out the EU’s budget for the seven years from 2021 to 2027. Not only will it lock down the EU’s priorities in terms of financial allocations and the instruments used to implement them, it will help set the EU’s future trajectory in a range of policy areas, including development cooperation, humanitarian assistance, human rights and foreign policy. 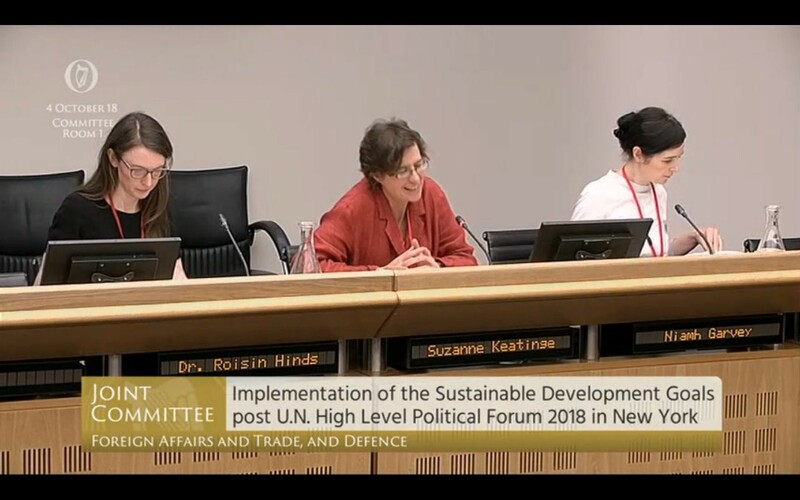 Last month, Oxfam Ireland appeared before the Joint Oireachtas Committee on Foreign Affairs and Trade with our colleagues in Dóchas to discuss the future of EU aid and Ireland’s role in its development. Ireland’s aid programme, which is not only an important feature of the country’s foreign policy, also demonstrates its commitment to human rights. During the recent launch of the public consultation for Irish Aid’s new policy, Tánaiste Simon Coveney said that Ireland’s “development programme last year reached over 120 countries. It is recognised as one of the best in the world and its good reputation opens doors for Ireland everywhere… The effectiveness of Ireland’s development cooperation programme amplifies Ireland’s voice within the UN. It will be a significant asset in our tough race to win a seat on the UN Security Council for 2021 and 2022”. Ireland has always been recognised as a donor which “excels” in delivering effective aid. Consecutive OECD Development Assistance Committee (DAC) peer reviews have praised the quality of Ireland’s aid programme, including its focus on the poorest and most vulnerable countries and the commitment to untied aid. The added value for Ireland working with the EU in development and humanitarian action is clear and acknowledged – cooperation provides economies of scale, efficiency and can enable a stronger impact. With EU aid instruments comprising 46 percent of Ireland’s multilateral aid spend in 2017, it is critical that the Irish government plays a leading role in the development of the new MFF to ensure that EU aid is being used for the intended purposes to alleviate poverty and reduce vulnerability. In May this year, the European Commission (EC) presented its plans to overhaul the EU’s budget, with the MFF proposal identifying the priorities, budget and architecture for 2021 to 2027. The title of the EU’s budget proposal, “Neighbourhood and the World”, encompasses all EU external actions, including development cooperation. Presenting the proposal, the EU’s High Representative on Foreign Affairs and Security Policy, Federica Mogherini, stated that it is “first and foremost a political statement in favour of a stronger European Union in international affairs”. The most substantial change in the proposal is the creation of a broad single instrument, the Neighbourhood, Development and International Cooperation Instrument (NDICI), which merges 12 external funding instruments – including the European Development Fund – into one. Civil society has long advocated for the simplification of EU funding instruments to avoid fragmentation and support flexibility. However, the EC’s proposal puts varied development and foreign policy objectives under the same umbrella and fails to achieve balance by reconciling different policy areas. As Europe’s political environment becomes increasingly insular, oversimplification risks promoting short-term EU domestic interests – particularly on migration and security – at the expense of international cooperation and development. As it currently stands, the NDICI’s objectives are overwhelmingly focused on foreign and security policy. Poverty eradication, which should be the primary focus of the instrument, is not explicitly mentioned in its aims (Article 3). The policy framework (Article 7) and the general principles (Article 8) of the regulation are vague and would benefit from strengthened language and an increased focus on alleviating poverty and reducing vulnerability. The commitment to spend 0.7 percent of collective EU Gross National Income (GNI) on Official Development Assistance (ODA), as well as the benchmarking of 0.2 percent to the least developed countries, are welcome and should be defended. However, Oxfam would like to see these commitments included in the main body of regulation text – and not just in the introduction, which is not legally binding. While we welcome the Commission’s proposal to keep a separate humanitarian instrument, we recommend that the budget is increased by a further €2 billion annually to address and complexity and scale of humanitarian need. The MFF will not only determine the role the EU can play as a leading humanitarian aid donor, it will also shape the quality, effectiveness and efficiency of the aid that humanitarian partners are able to deliver. While the Commission’s proposal includes several positive elements on migration and displacement, such as focusing support on “human rights-based migration policies, including protection programmes” [Annex II, section 3(f)], and “development-based solutions for forcibly displaced persons and their host communities” [Annex II, section 3(i)], the overall approach to migration is not in line with the EU’s global strategy or OECD DAC definitions of Official Development Assistance. The proposed regulation includes an ambition to stem irregular migration to Europe, with references to “fighting”, “mitigating” or “tackling” the root causes of irregular migration. There is also a 10 percent financial envelope set aside for partner countries based on their performance in several areas, including cooperation on migration. This raises series concerns around the conditionality of aid. In addition, the budget includes a €10.2 billion “emerging challenges and priorities cushion”, with little detail on what this is for, how it will be spent and how it will be governed. In the current political context, the risk is that it will be used for short-term EU political interests, rather than long-term development which is based on development effectiveness principles. Migration has been well-established as a powerful poverty reduction tool for migrants, their families and wider communities, and as having an important role in contributing to the UN’s Sustainable Development Goals (SDGs). While several SDGs recognise the economic value of migration, Target 10.7 specifically calls for the facilitation of “safe, regular and responsible migration” and the implementation of “well-managed policies”. The use of NDICI funds to stem irregular migration puts the EU’s long-term objectives of building resilience and sustainable development at risk and may even lead to a destabilisation in conflict-affected regions. Analysis of the EU Trust Fund for Africa (EUTF) and other programmes designed to prevent migration reveals that efforts to reduce cross-border movement between African countries has resulted in some communities losing access to livelihoods, for example, by restricting access to local markets across the nearest border or by reducing intra-continental migration. Oxfam analysis of the EUTF’s migration management projects also finds that 97 percent of the budget has gone to containment and deterrence and only 3 percent has been allocated to making migration routes safer and cheaper. This illustrates donors’ disproportionate focus on reinforcing borders and blocking mobility over long-term development and human rights-based solutions. As Ireland looks to expand global presence and meet the international commitment to 0.7 percent spending, it is critical that we play an active role in the development of the new MFF. Ireland must stand against the instrumentalisation of aid for migration control, ensure respect for development effectiveness principles and preserve development objectives, which by their nature, should remain autonomous from foreign policy interests. In the next MFF, aid must only be used for its intended purposes of alleviating poverty and reducing vulnerability; for programmes that address the needs of displaced people and host communities and to increase the development benefits of migration – not to contribute to the EU’s short-term foreign policy ambitions to prevent migration. This week Oxfam Ireland released a new report entitled ‘Hard to Swallow: Facilitating tax avoidance by Big Pharma in Ireland’ which indicates that Ireland’s corporate tax rules are allowing four of the world’s largest pharmaceutical firms – Abbott, Johnson & Johnson, Merck & Co (MSD) and Pfizer – to avoid large amounts of tax by shifting profits to and through Ireland. Based on available data, Oxfam found that Abbott paid zero tax on profits of €1.2 billion declared in Ireland in 2015, costing the Irish taxpayer an estimated €155 million that year alone. Johnson & Johnson recorded profits of €4.31 billion in Ireland in 2015 but only paid an effective tax rate of six percent, €250 million less than they should have paid at Ireland’s corporate tax rate of 12.5%. Added to the Abbott figure, that means just two of the four companies avoided €405 million in tax in just one year. 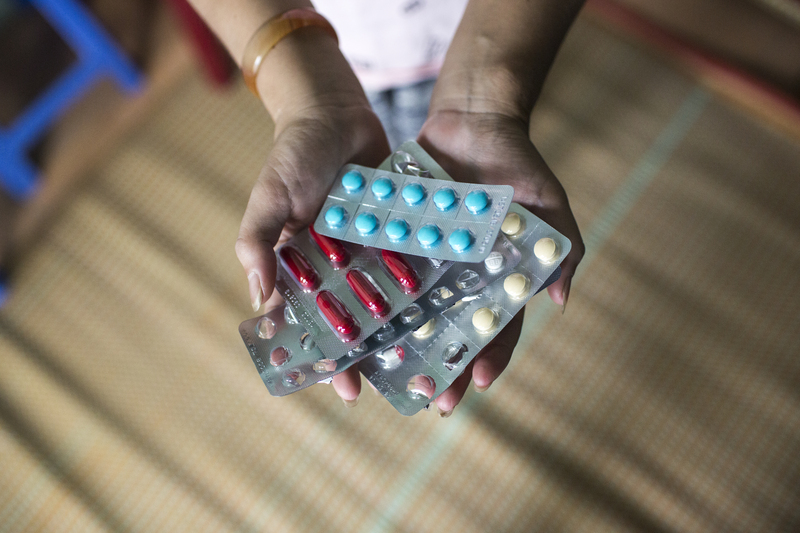 It is estimated that these four pharma giants have avoided paying annual taxes of €96.6/$112 million across the seven developing countries investigated in the report, a move which impacts on the delivery of essential services that can help end poverty and inequality. Oxfam’s research demonstrates that corporate tax avoidance continues to drive inequality and hamper the fight against poverty. It reduces the funds available to poorer countries to invest in public services that enable communities to lift themselves out of poverty. This is particularly the case for girls and women, who make up the majority of people living in poverty – and who are more likely to rely on public services. This is not a new phenomenon. Developing countries are estimated to lose around US$100 billion annually through corporate tax avoidance, which deprives them of vital funds for hospitals, schools and other essential services. For example, in 2017, 1,317 children died at a hospital in Gorakhpur in India. A leading cause of death there is acute encephalitis syndrome, a mosquito-borne disease that can be easily prevented with proper sanitation and hygiene, but not easily cured. According to the former Health Secretary of India, 95% of the deaths could have been prevented if India had a functioning health system. Had the Indian government received the estimated €63.8 million the four US drug companies may have underpaid in taxes annually, it could have allocated these funds to fighting encephalitis and still have had enough money left to buy Japanese encephalitis vaccines and bed nets for every child born each year in the whole of India. Ireland’s tax code has already been implicated in facilitating some of this revenue loss - in 2017 Google was ordered to pay taxes on €194 million of profit to the Indian government which were found to have been illegally booked in Ireland. Last week the Financial Times reported that nine out of 10 Fortune 500 companies are being investigated for tax avoidance related to $23 billion of revenue. It is not unreasonable to suspect that Ireland’s corporate tax regime is involved in some of these cases. Ireland has received one of the highest international ratings on tax transparency from the OECD. However, what is termed ‘tax transparency’ by the OECD and the Irish Government refers to information exchanges between tax authorities. None of this information is published or made available to legislators, investors, journalists and civil society actors. ‘Tax transparency’ is the only form of transparency that doesn’t allow public access to information. The current lack of transparency impedes attempts to understand how countries’ tax regimes operate. Because the companies in the Hard to Swallow report reveal little about their subsidiaries’ finances, attempts to quantify their tax avoidance barely scratch the surface. We limited our inquiry to countries where we could find a critical mass of data, and for those countries we located data for just 358 out of 687 subsidiaries – 56 in seven developing countries, 218 in eight advanced economies, and 84 in low tax jurisdictions like Ireland. Oxfam cannot prove that the companies are engaged in profit shifting or tax avoidance – this would require access to the companies’ tax returns. However, increasing transparency, such as through public country-by-country reporting would provide relevant actors, especially in developing countries, with data to help review and, if necessary, reform aspects of the tax system being used purely for tax avoidance. Earlier this month the Department of Finance released ‘Ireland’s Corporate Tax Roadmap’ which outlines the existing and future measures the Irish Government plans to take to address corporate tax avoidance. While it will tackle some mechanisms used, it does not go far enough to address all of the tax dodging mechanisms employed by multinationals, including big pharma companies. Most worryingly, the plan contains few, if any, mechanisms to address corporate tax avoidance that impacts developing countries. Oxfam’s Hard to Swallow report adds to the growing body of research that indicates that Ireland is still one of the world’s biggest conduits for tax avoidance. Berkeley academic Gabriel Zucman’s most recent research indicates that Ireland facilitates the largest level of profit-shifting by US MNCs. The Hard to Swallow report also corresponds with the EU’s recent assessment of Ireland’s economy as part of the EU’s Semester Review, which stated that “some indicators suggest that Ireland's corporate tax rules are used in aggressive tax planning structures”. This review found that royalties sent from Ireland were equivalent to 26 percent of Ireland’s GDP in 2015 – more royalties than were sent out of the rest of the EU combined, making Ireland the world’s top royalties’ provider. High levels of these payments’ economic activity indicate that the jurisdiction is facilitating tax avoidance. Despite this evidence, the Irish Government continues to claim that Ireland’s corporate tax regime doesn’t harm developing countries. It bases this claim on the findings from a spillover analysis undertaken in 2015 which concluded that “the Irish tax system on its own can hardly lead to significant loss of tax revenue in developing countries”. One of the arguments for this is that the amount of financial flows from Ireland to developing countries is low. However, this spillover analysis only looked at limited data, focusing on 13 countries over two years. This meant that only 4 percent of the available data on Irish overseas investment into developing countries – from 2009 to 2012 – was examined. It also didn’t look at indirect flows through third countries like Luxembourg or Bermuda. Moreover, not all the limited data analysed could be assessed due to secrecy laws. The analysis noted this flaw saying that “a substantial percentage of [foreign direct investment] is labelled “confidential (…)” or “unspecified (…)” and this may in part go to developing countries”. Finally, the analysis ignored assessments of capital gains related to the sale of cross-border investments. Instead it focussed on the taxation of income from cross-border investments and services in contrast to the IMF’s Fiscal Spillover Reports. At the end of 2017, Christian Aid Ireland published two reports entitled Global Linkages and Impossible Structures critiquing the Irish spillover analysis and highlighting the many mechanisms still available under Irish tax law that facilitate corporate tax avoidance. So, what new mechanisms are outlined in Ireland’s Corporate Tax Roadmap to address corporate tax avoidance? Firstly, all of the items outlined in the roadmap are either compulsory under EU law (as per the Anti -Tax Avoidance Directive or ATAD) or have already been signed up to by Ireland. The details in the plan concern how and when Ireland will be implementing these existing commitments. Unfortunately, Ireland has chosen to implement the least effective of these tax avoidance mechanisms at the latest available date. Most worryingly, these proposals include little or no mechanisms to address corporate tax avoidance that negatively impacts developing countries. Most of the plan will not be implemented immediately, with some items not due to come into force for five years; however, three items are planned to be introduced before the end of 2018. The first is the ratification of the OECD’s Multi-Lateral Instrument (MLI) by the Dáil by the end of this month. The MLI is an attempt to provide common minimum standards for all existing and future Double Tax Agreements (DTA). A DTA is legal agreement between countries to determine the cross-border tax regulation and means of cooperation between the two jurisdictions. DTAs often revolve around which jurisdiction has the right to tax cross-border activities and at what rate. The minimum standards set out in the MLI have been designed to close tax avoidance loopholes. Article 12 of the MLI relates to defining when an MNC has a taxable presence or permanent establishment (PE) in a jurisdiction. This article makes it harder for multinational companies to claim that they don’t have a permanent establishment/taxable presence in a third country if they use a third party to conclude contracts on the company’s behalf, an approach that can be used as a tax avoidance strategy. When Ireland signed the MLI in June 2017 it chose not to adopt Article 12, missing the opportunity to close this loophole. In its submission to the consultation process that informed Ireland’s Corporate Tax Roadmap, Oxfam recommended that Ireland should adopt article 12 of the MLI when it ratifies the MLI later this year. No reference or discussion of this is included in Ireland’s Corporate Tax Roadmap, despite the Minister of Finance’s commitment to review this issue following news reports about the continuance of this loophole. 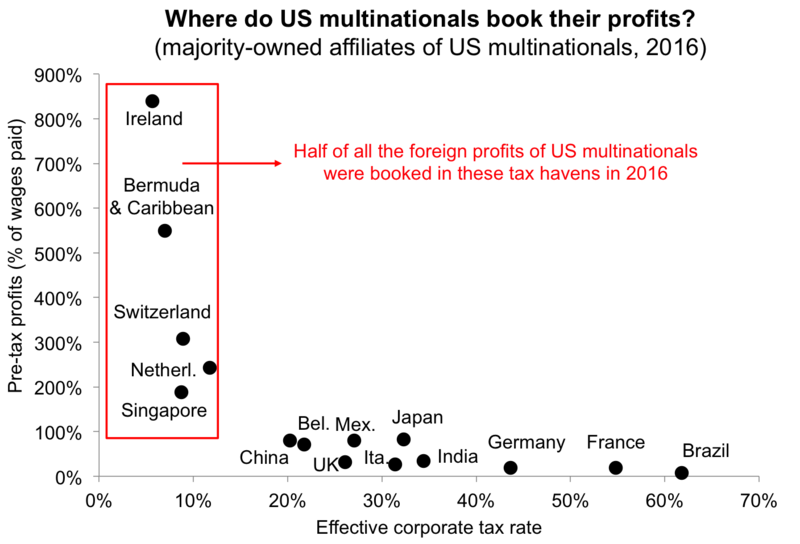 The second item Ireland proposes to introduce are controlled foreign corporations (CFC) rules, which, if designed appropriately, can make it less attractive for a company to shift profits to avoid tax. CFC rules can also discourage shifting profits from subsidiaries in developing countries to tax havens for EU-headquartered companies. Ireland has chosen to implement a form of CFC rules that will do little to address corporate tax avoidance. They will assess whether artificial arrangements (arrangements set up for mere tax purposes and not in line with the economic reality) are being used to avoid paying tax – something that Ireland is already supposed to be doing under its current transfer pricing legislation. The problem with this is that although it looks at artificial arrangements, it is very hard for Revenue Authorities to prove whether a structure is artificial or not. The final change that should be implemented before the end of 2018 relates to updating Ireland’s domestic transfer pricing legislation, especially related to non-trading income, including capital transactions. 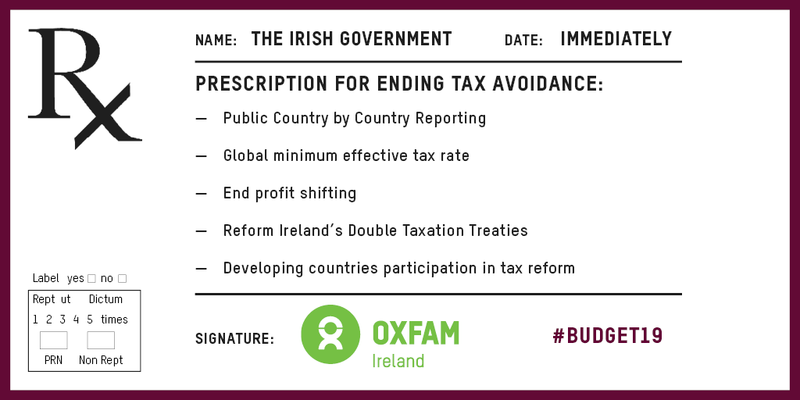 Although these changes are welcome, Oxfam does not feel that addressing profit-shifting out of Ireland alone is enough to truly tackle corporate tax avoidance. Oxfam has asked that ‘two-way’ transfer pricing legislation is needed to give Irish Revenue officials the power to investigate instances where profits are shifted from a high tax jurisdiction to Ireland, to avail of its low corporate income tax rate. This would allow officials to identify potential abuses which could lead to revenue losses in other countries, especially developing countries. The ‘Coffey Review’ stated that there are adequate measures in place to address this issue. The review asserted that if transfer mispricing occurs, a foreign tax authority may adjust the transfer prices charged or taken by a foreign affiliate resident in their territory and attribute a higher quantum of taxable profit to the affiliate. If the Irish Revenue agrees with this assessment, an adjustment can be made under protocols set out in relevant Double Taxation Agreements. However, not all tax authorities of developing countries have the capacity to undertake such audits and identify sophisticated tax avoidance strategies. The Coffey Review also asserted that there is a danger of double non-taxation if the other jurisdiction decides not to exercise its taxing rights. This concern can be easily addressed by inserting a protection clause in new legislation to ensure that a reduction in taxable income in Ireland will only happen when Revenue is satisfied that the income will be assessable in another jurisdiction. There should be more consideration in Ireland’s Corporate Tax Roadmap of the more comprehensive mechanisms needed to address corporate tax avoidance in a digitalised and global economy. These mechanisms include taxing companies on their global profits and then apportioning tax revenue according to value creation and economic activity, the development of a global minimum effective tax rate and the implementation of public country-by-country reporting. Although the Irish Government recognises that additional reforms are required to take account of the highly digitalised global economy “to ensure that tax is paid by companies where value is actually created”, it does not support any role for developing countries in this process. Besides draining money from essential services, tax dodging also negatively impacts the poor because it requires governments to raise a greater proportion of their revenue from other sources. Most developing countries raise two thirds or more of their tax revenue through consumption taxes, which eat up a larger proportion of income, the poorer you are. Ireland has a well-earned reputation of acting fairly and being a champion of the rights of poorer countries. To ensure this reputation is maintained, it needs to do more to address corporate tax avoidance that impacts the world’s poorest people. Address profit-shifting, including signing up to Article 12 of the OECD’S Multilateral Instrument. Contribute to a second generation of international tax reforms to address the use of highly mobile value, including IP and other intangible assets. 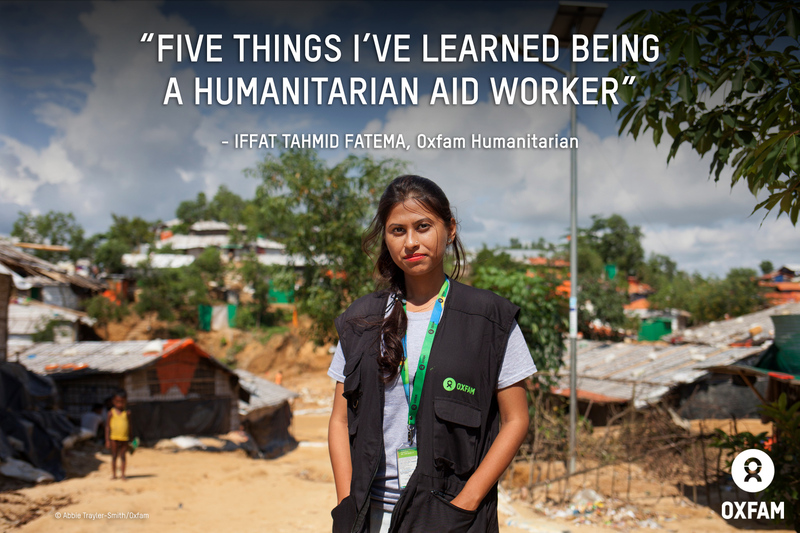 This World Humanitarian Day, Iffat Tahmid Fatema, Oxfam public health worker, shares what it's like helping people in our Rohingya refugee response in Bangladesh. I started working for Oxfam last year at the height of the emergency when Rohingya refugees were arriving in huge numbers every day. At that time, I was toiling in a lab at the Asian University for Women in Chittagong pursuing my Master's degree in Bio-Technology, but I knew I wanted to work with real people, face-to-face. What's happened to the Rohingya people really upset me. I had never seen people living with so little. It really hurt me. Now I teach Rohingya refugees living in the camp in Cox's Bazar about health and hygiene, to help them keep well and to prevent a major outbreak of disease. We discuss the importance of cleanliness and personal hygiene like washing your hands with soap after going to the toilet and before eating. We work with volunteers from the Rohingya community, training them so they can teach other refugees and spread good hygiene messages far and wide. 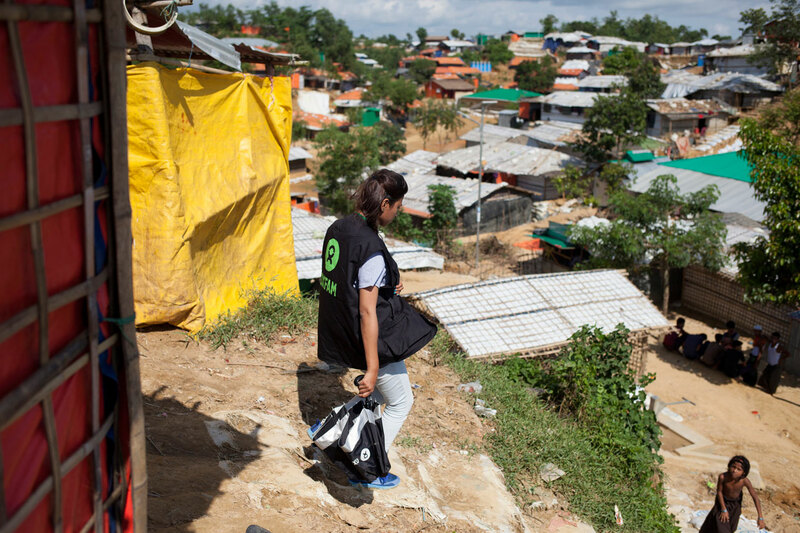 The Oxfam team has reached more than 266,000 people in the camps so far. In this job you need drive, good communication skills, and initiative. When it's extremely hot, or raining heavily, or you’re tired, you might not feel like spending another long day in the camps. But then you think of the refugees and how you are working for them - that motivates you to keep going. Humanitarian work is also about building trust. You have to be sensitive to local culture and traditions. You also have to be able to talk to different groups of people in different ways, from children to older people and Imams, the religious leaders. And you need to be a good observer so you can try to understand how people think. Sometimes the refugees can be uncomfortable with someone who is not like them, so it helps that I can speak a similar language. But the language is also the biggest challenge as the regional language, Chittagonian, is only about 70 per cent the same as Rohingya. Oxfam has worked with Translators Against Borders to develop a new translation app in English, Bangla and Rohingya, including specific vocabulary about health and hygiene, so this will be a big help. Working in the monsoons has been extremely hard and can be dangerous. When there is a heavy downpour of rain, conditions in the camps become very bad, very quickly. You can sink into the mud and lose your boots. When you climb the dirt steps there is the possibility the whole thing will collapse. The most important thing I have learnt is to be polite and be patient - even though I might be repeating the same thing hundreds of times, such as how to wash your hands. I am very impatient by nature, but working in the camps I have learned how to control my frustrations. The most satisfying part of my job has been hearing from refugees what a difference Oxfam’s support has made to them. We run regular listening groups where the community can give us constructive feedback. Recently a grandfather told me: "We are happy that you come and you listen to us. Thank you for the work you do." That made me feel very happy. This entry posted on 18 August 2018 by Iffat Tahmid Fatema, humanitarian public health worker for Oxfam’s Rohingya refugee response in Bangladesh, as part of our World Humanitarian Day program.